This is a little Serversided project that I have been working on recently. 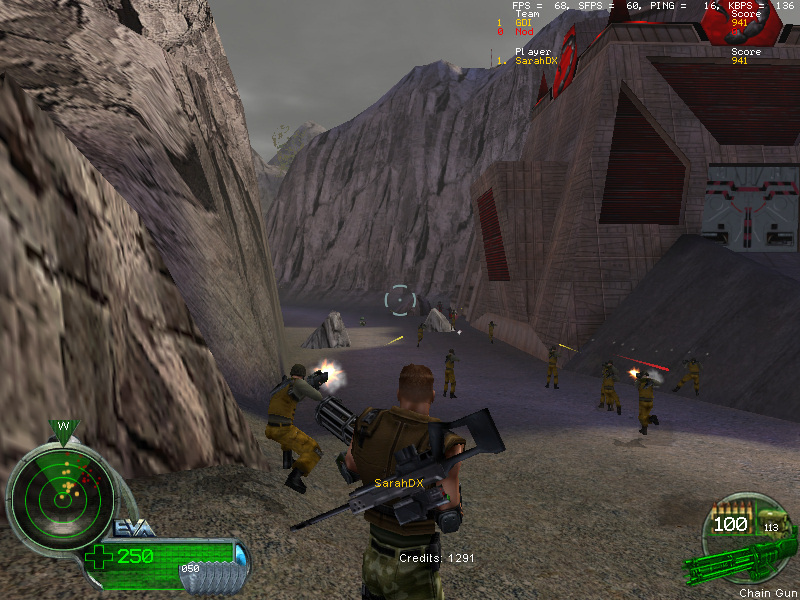 The aim was to re-create the Single Player to some extent for Multiplayer and at the same time alternate various things so that they would fit into Co-op. At main I wanted to show how a Multiplayer Co-op Serverside mod can get close to what Single Player has been, it is not impossible, though many things have to be cut or altered in order to fit ( or actually work at all ), this M01 mod is, I dare to say, the closest thing a M01 Co-op Serverside mod can get to Single Player, hence the name "Tech-Demo". So basically you have a Mission styled Serverside Co-op mod that reminds alot of how Westwood did things in Single Player. I have reverse engineered various Single Player scripts in order to do that, and re-wrote/re-created that as new scripts that actually work properly without any possible and nasty side-effects in Multiplayer. 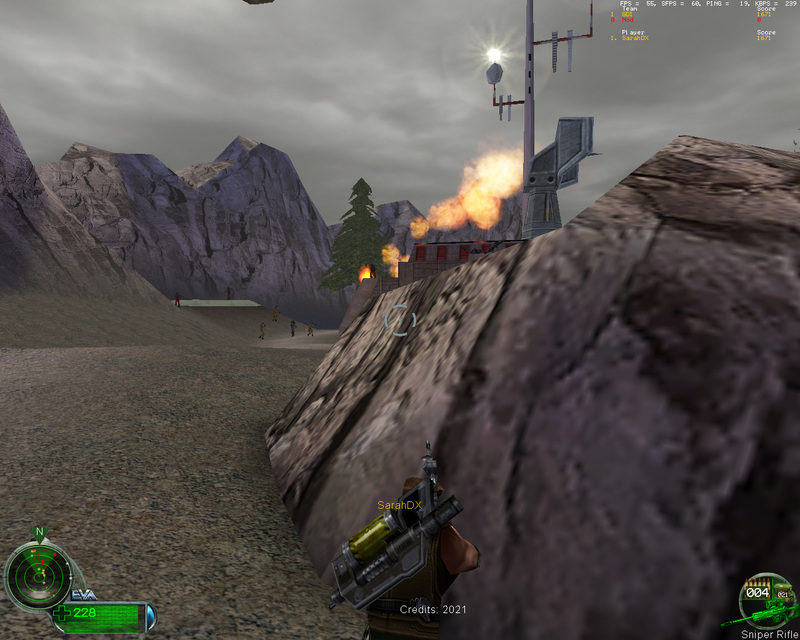 So the mod does not rely on Westwood's original ( Single Player ) scripts anymore and uses the ones I made at most ( obviously the ones I did not make were/are part of the default TT 4.0 Scripts.dll ). I invested alot of time into making this, despite it being a Serverside mod ( due to having me reverse engineer various things to re-create them and having to test that in order to see wether it works the way I needed/wanted it ) and I find that it turned out pretty well, currently, the mod does not use my little invention -- the difficulty scaler -- but I made sure to leave enough room for that so that the map could be optimized to support around 12/13ish players, possible updates here! 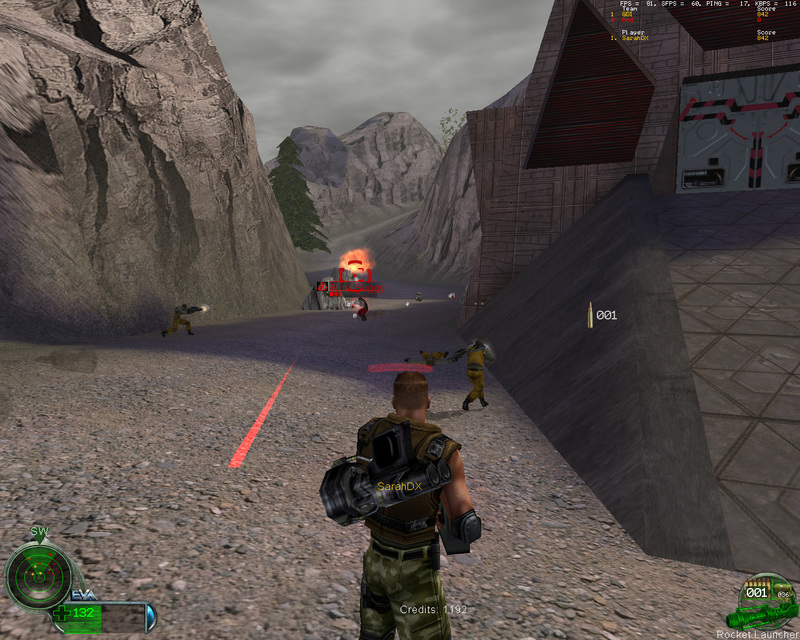 So about the Mission, at most the Objectives are the same as in Single Player, some of them are slightly altered, some of them were left out entirely, or even new ones were added ( or Objectives that were originally intended but then cut by Westwood ). I have to say that I designed this mod to be linear ( and there is a good reason behind this as to why I did this! ), so the Player(s) has/have to go down the path as strictly set, meaning you cannot skip areas and therefore, the next area will be unlocked as the Player(s) complete the given Secondary ( or Primary ) Objectives, however there actually ARE things that can be optionally done or skipped, which are often not actually part of the Objectives and as such not mentioned, like clearing an area entirely or destroying the Nod Harvester or blowing up Sam Sites for additional reinforcements, so that's up to the Player(s). 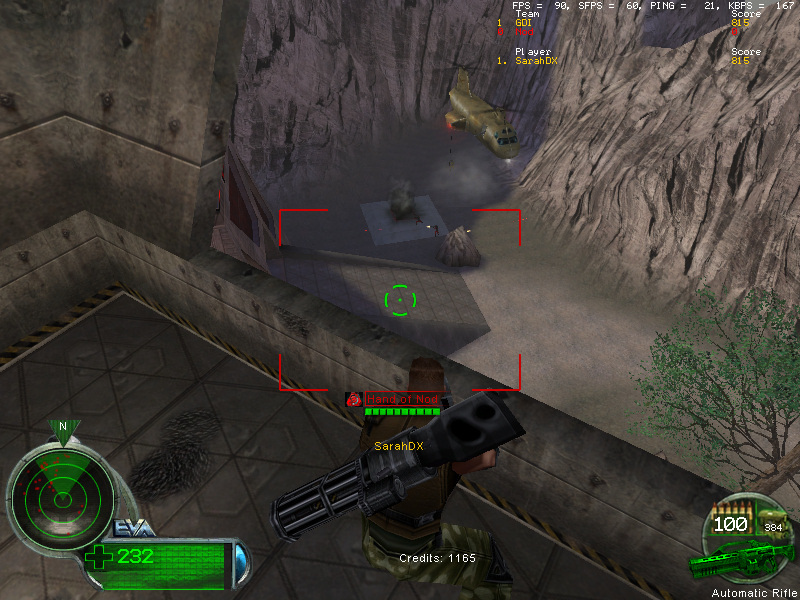 Almost all enemy AI spawns are 1 timers, this does not mean that there are no AI respawns at all -- just like in Single Player, Nod Officers call in reinforcements as Nod AIs are being slain by the Players, this is, just like in Single Player too, publically announced ( i.e the Nod Officer saying "Enemies closing in - requesting backup!" and EVA then saying "Warning! Enemy Aircraft detected!" ) and there are also some infinite enemy reinforcements from other locations such as the Hand of Nod. -Various used and unused Single Player dialog as both, Sound and Text, being played at given events and matched up. -AIs that can talk like in Single Player. -GDI and Civilian hostages to set free who will then help you. 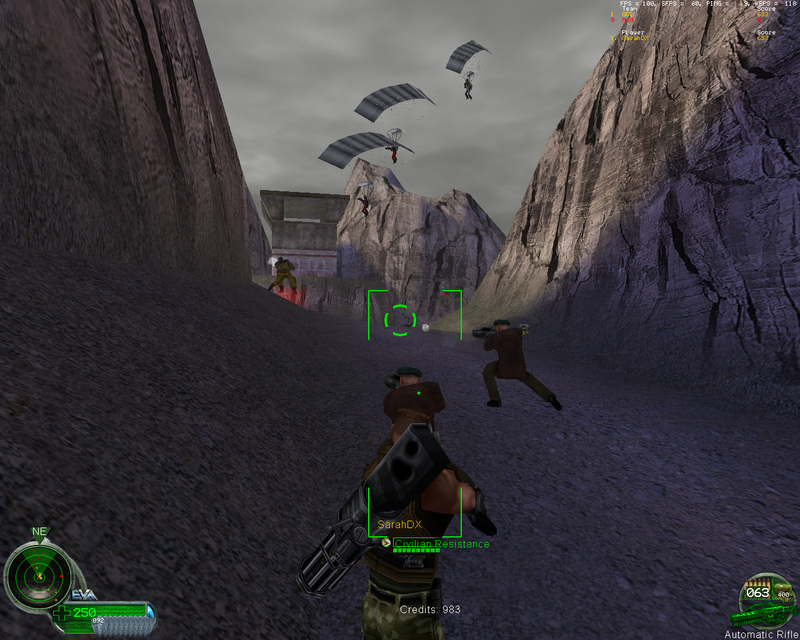 -Friendly AI reinforcements that help and progress with the Players as the Mission goes on. 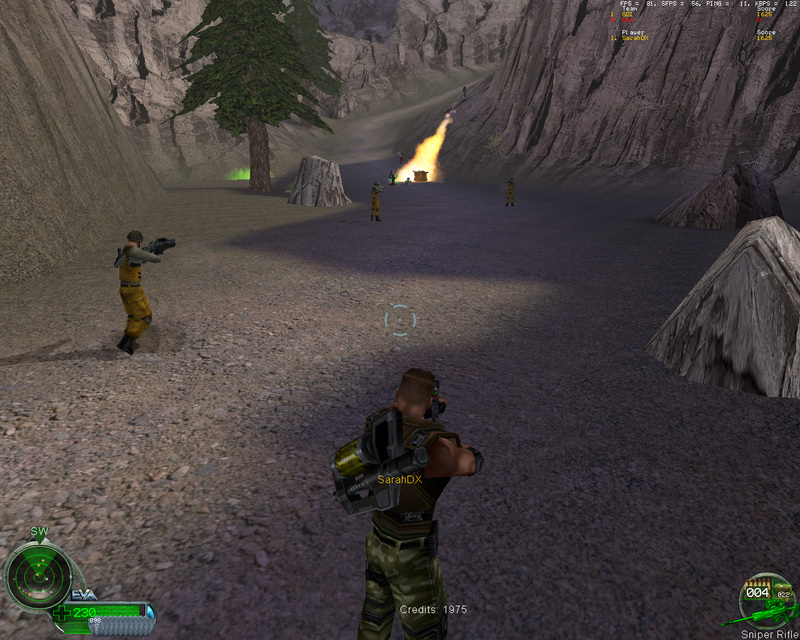 -Dynamic Checkpoint System -- Players always automatically respawn in the current ( unlocked ) area up to the Hand of Nod. -No Purchase Terminals!, every Player character is Havoc ( without the Ramjet! ) and get their Weaponry during Gameplay. Just like in Westwood's Single Player! -All enemy AIs have a chance to drop Health, Armor and Weapon PowerUPs when killed. -Fixed a couple of Messages popping up in white color instead of green. -Fixed the Nod Turrets not shooting the Gunboat at all. -Fixed an issue with a blocker that did not block properly. -Fixed Sounds playing at the wrong time. -Fixed Visceroids not doing anything at any time. -Fixed some AIs not dropping PowerUPs at all. -Fixed an Objective Message not popping up at all. -Changed the Nod Light Tank to drive slower. -Fixed some infinite Spawns not Spawning infinite when supposed to. 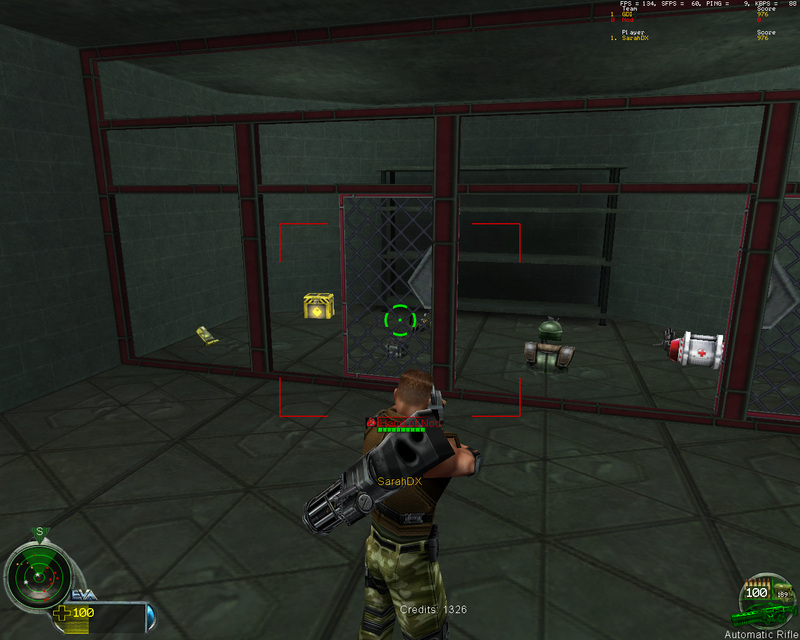 -Fixed the Hand of Nod checkpoint spawning the Player(s) too low, causing them to fall through the Map. -Fixed another message popping up in white color instead of green. -Fixed a Nod Officer not calling in reinforcements properly. -Added a couple of 1 time-spawns at the path between the Church and the second Guard Tower. -Changed Nod AI movement at the Communications Center to prevent stuckage with the elevator to a certain degree. -Changed the Checkpoint system's code to prevent an issue from popping up where unlocking the Church's checkpoint when not having cleared the 3 Hills area ( completely ) would cause the Player(s) to respawn in the 3 Hills area instead of the Church. -Changed a couple of the stationary AIs to not stationary. -Increased the pushback a bit for some area blockers to decrease the chances of getting stuck with another Player by accident. -Added the Difficulty Scaler V3. -This is a new version of the Difficulty Scaler that I have created specifically for the requirements that my M01 mod would have when using the Difficulty Scaler, the code has been almost completely re-written and has also been optimized a bit. -Features the Very Easy and Easy difficulties ( for now ). -Changed the Visceroid's Skin and Shield types so that they no longer get heal effects from Tiberium or Tiberium based Weaponry. -Fixed a bug where there was a big chance for some Officers to never call for reinforcements. -Added the Medium difficulty mode. -Updated the Objectives command plugin with the current difficulty level display. More to be added later eventually. I have very amateur experience with modding and using the Level Editor for C&C Renegade, but even I have done enough fiddling around over the years to realize that this map had a TON, and by TON, I mean probably over 100+ hours, of work put into this. We're talking about a modder/mapper remaking (decompiling, reverse-engineering code) several scripts from Westwood so that they won't crash the server/client (because a bunch of Westwood's scripts do that if you want to use them for co-op mapping/multiplayer), we're talking about an actual sound/dialogue setup that matches really closely with the singleplayer's dialogue and text captions you see while progressing through a mission (you would think this would have been easy to transfer from singleplayer to co-op but it takes a BRICK load of time, so almost no co-op maps of the singleplayer missions have done it as near identical/detailed as this mod does it, and trust me, it sounds GREAT to hear it after all these years playing co-op maps without much of the sound/dialogue intact from singleplayer), and perhaps one of my most favorite features is that you ACTUALLY get friendly AI reinforcements that get dropped to secure areas after you've cleared them, and they EVEN are scripted/coded to move with players from area to area as you finish objectives. It's a linear path, but you have no idea how epic it is to see and have decent amounts of friendly AI being 'unlocked' to help you as you move forward in the mission. 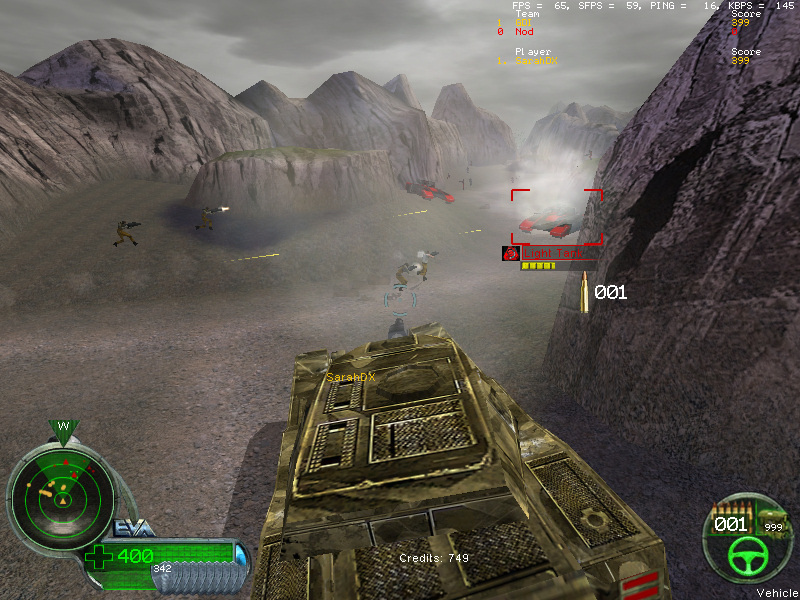 And of course the fact these bots spawn once, for the most part (except where you gotta kill Nod Officers to stop chinook reinforcements in some areas), is a heaven's blessing after so many years of having most co-op maps setup where you get backstabbed with unlimited hostile bot spawns even after you feel like an area should have been cleared. Did I also mention that like in the singleplayer version of M01, there are prisoners throughout the map; but in this tech-demo SarahDX has modded them to actually be given guns and to help out players and other GDI bots to assault objectives/hold off enemies? I had the huge pleasure to play this just once so far, and I'll tell you one thing; THIS is how the Westwood singleplayer missions SHOULD have been setup. There's even extra sound clips/dialogue between Havoc and Locke that play which wasn't in the singleplayer version. 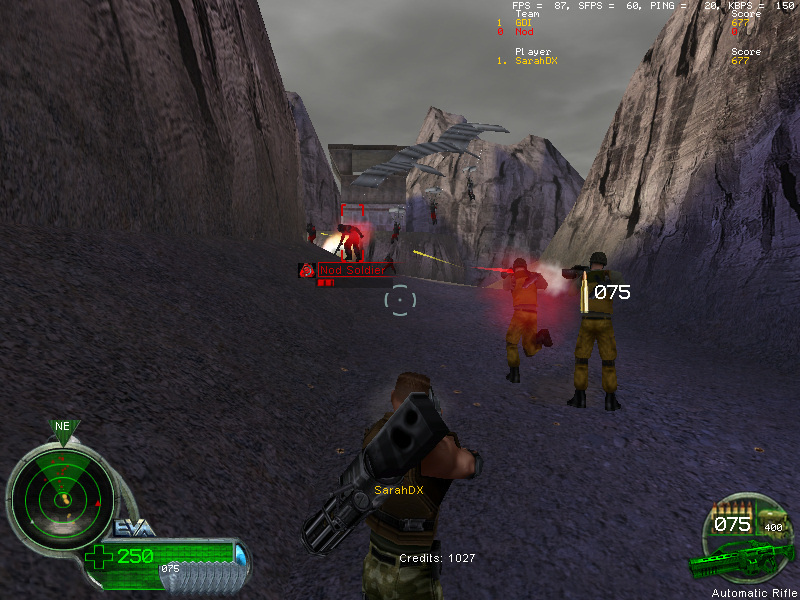 It's not going to be the toughest of challenges, but it's already a very fun romp for 1-2 players and even a blast to the past to play through in co-op; the co-op missions out there in the C&C Renegade community have never had as detailed or complete a conversion from singleplayer to co-op multiplayer for one of Westwood's campaign maps until this one. With SarahDX having left open the possibility to add difficulty scaling at, maybe, some point in the future, there's even the chance the map will be further changed up to be a suitable challenge for more players. Highly recommended, and kudos to the HUGE amount of scripting/modding/level edit work put into this by pretty much one person. 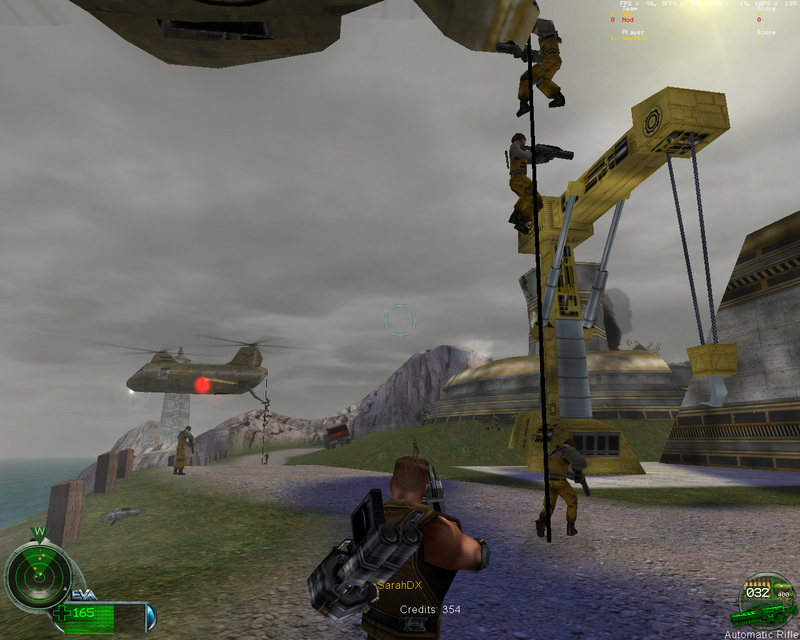 The quality put into this fan/modded co-op map is on the level of professional thoroughness and quality; there is attention to detail for many things that make the mission feel like the singleplayer, but yet you can tell it's been converted for co-op. But don't take my word for it, try it yourself once the map is uploaded to the community co-op server. Updated the update log in the first post. Here comes the next update and official release. Updated the first post's update log. Well I do have to say that, if a Renegade Co-op 3 veteran looks for a challenge, this mod may only deliver such when you play on Easy or Medium difficulty without having enough players, which in turn could only be done on a Admin/Moderator command on IRC. Personally, I did not aim to create a challenge for regular or veteran players with this mod, even though you might find it a bit tougher if you play Medium difficulty as 1-3 players ( assuming all of these 1-3 are veterans ). From start to finnish it's really enjoyable. Spawning with a repgun should be the standard for exodus, I also like the idea of no PT's.